Caterpillar | Leah Palmer Preiss ~ Curious Art: Acrylic on text collage on canvas, 12"x9"
Advice from a Bunnipillar Acrylic on text collage on canvas, 12"x9"
I thought I’d posted this painting when I finished it last summer, but it appears I never did! 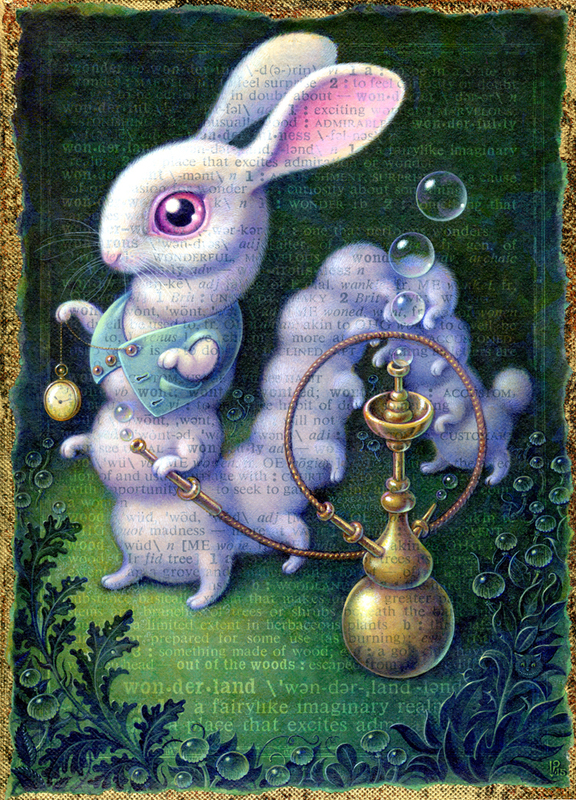 I’m glad Illustration Friday’s topic this week was “smoke” because it made me think of this hookah “smoking” white rabbit/caterpillar chimera. 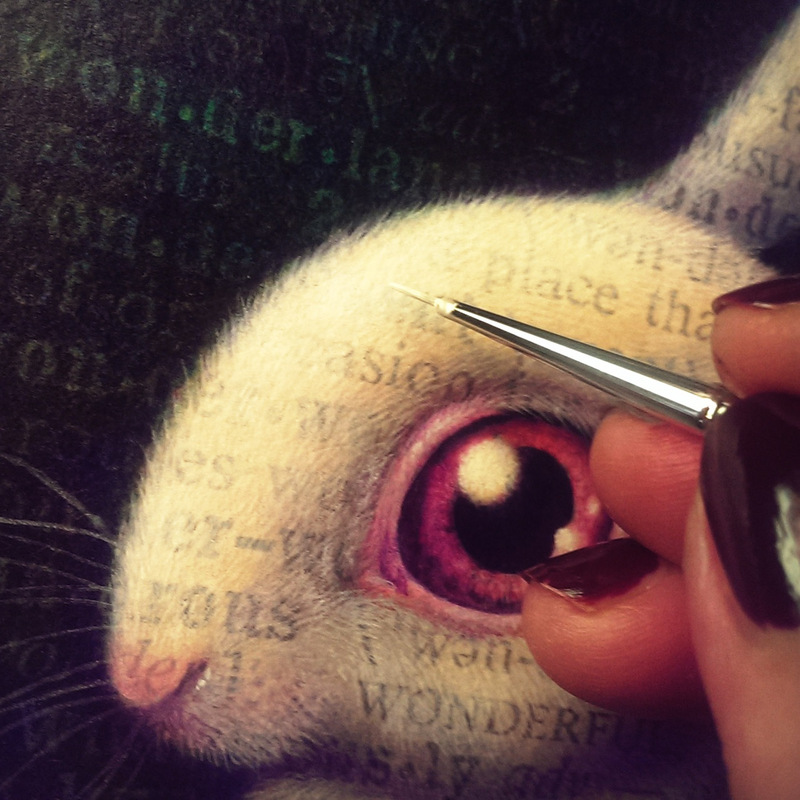 Alice’s Adventures in Wonderland is one of my all-time favorite books, so much so that “Curiouser & curiouser!” is the motto I’ve painted on my studio door. 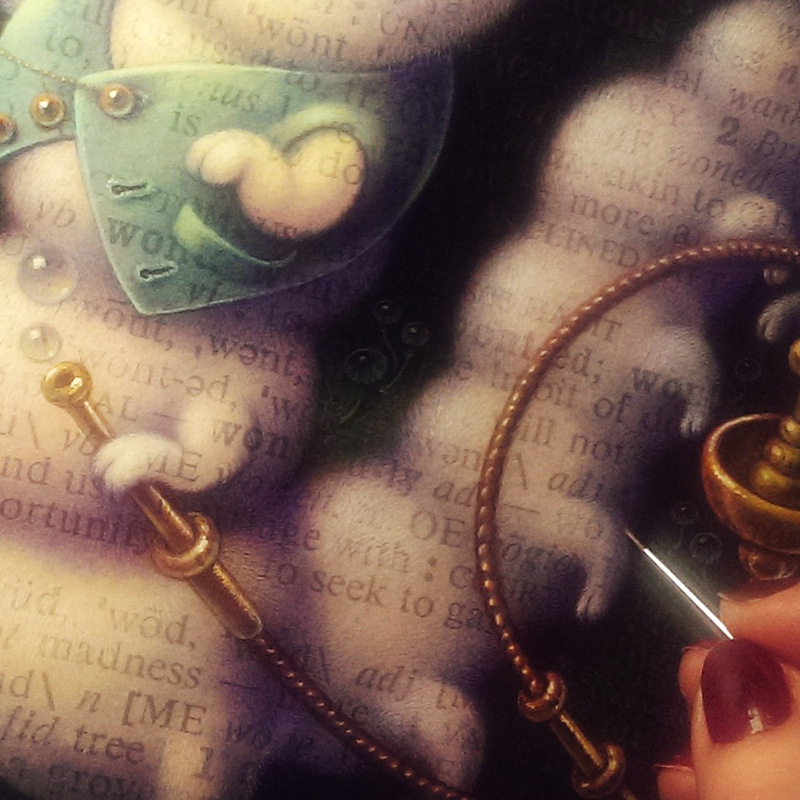 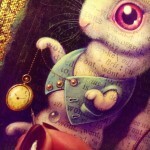 This entry was posted in Paintings, Prints Available and tagged Acrylic, Alice, Caterpillar, Hookah, Illustration Friday, Leah Palmer Preiss, Painting, White Rabbit, Wonderland on 3May 2016 by Leah.